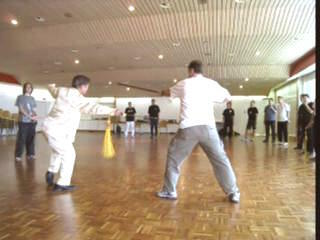 Sifu Anthony Spinicchia tears the clothing of an opponent without hurting him using the pattern "Immortal Draws Talismans"
The sword was the choice-weapon of kungfu-knights (jian-xia or free-lance kungfu experts who were chivalrous and often wholesomely amorous) in the past. 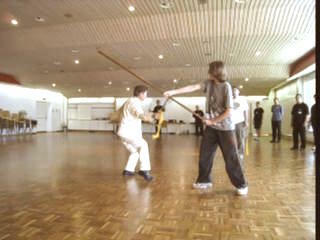 Instead of killing or maiming their opponents, the kungfu-knights usually just disarmed them or demonstrated their superior swordsmanship over them, like tearing their clothing with the tip of the sword. 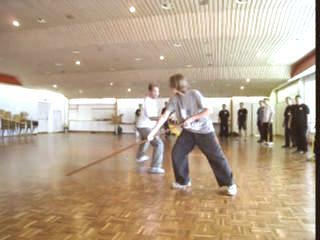 These video clips provide you with some techniques to be kungfu-knights. 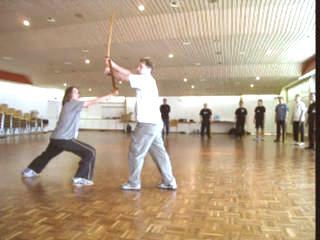 Of course you also need the necessary skills. 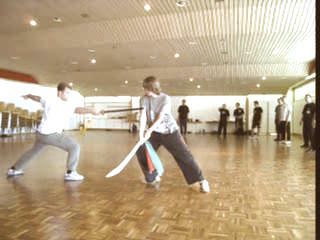 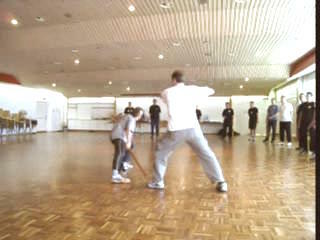 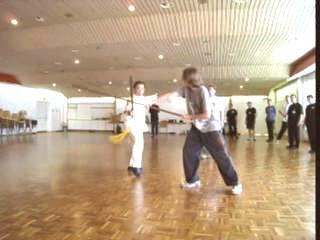 The Sword was a Choice Weapon of Kungfu Knight from Wong Kiew Kit on Vimeo.